The emergence of security robots is a new milestone in the evolution of security systems—an emerging stage of technological development that brings the entire industry up to new standards of best practices expected in the profession of securing people and property. Autonomous mobile robots designed for outdoor use can reduce, and over time, completely eliminate the need for human workers to ensure the safety of large facilities. Security robots are able to provide the highest level of security at a modest cost that is much lower than the wages of hired employees. 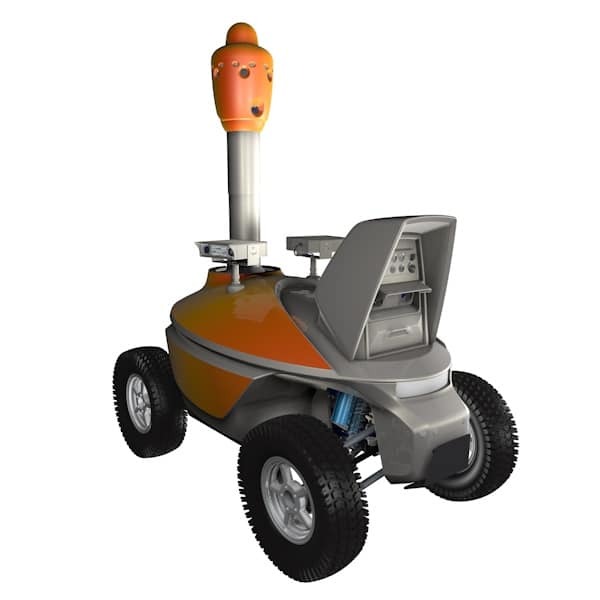 All security robots supplied by SMP Robotics are panoramic video surveillance systems installed on the platforms of autonomous mobile robots. Thanks to an automatic guidance system, the robot is capable of doing its rounds of secured premises completely independently. 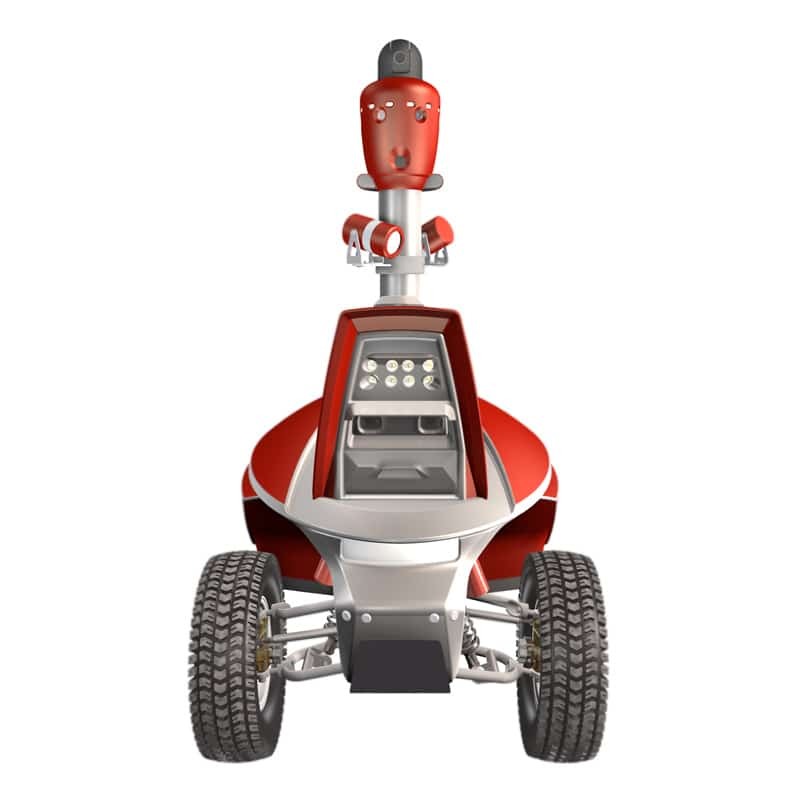 Depending on the tasks to be performed, security robots can be equipped with additional devices, starting with PTZ cameras and ending with non-lethal weapons. WiFi technology is used to control the security robot’s work of performing remote video surveillance from its current location. The robot’s video footage, the condition of the robot’s systems, and its location on site are all displayed on a dashboard viewable from a laptop or central monitoring station. The smooth operation of wireless network at large facilities is achieved through the use of MESH technology, which uses the security robots as relay stations. Some of the security officers guarding a facility can be effectively substituted with security robots. 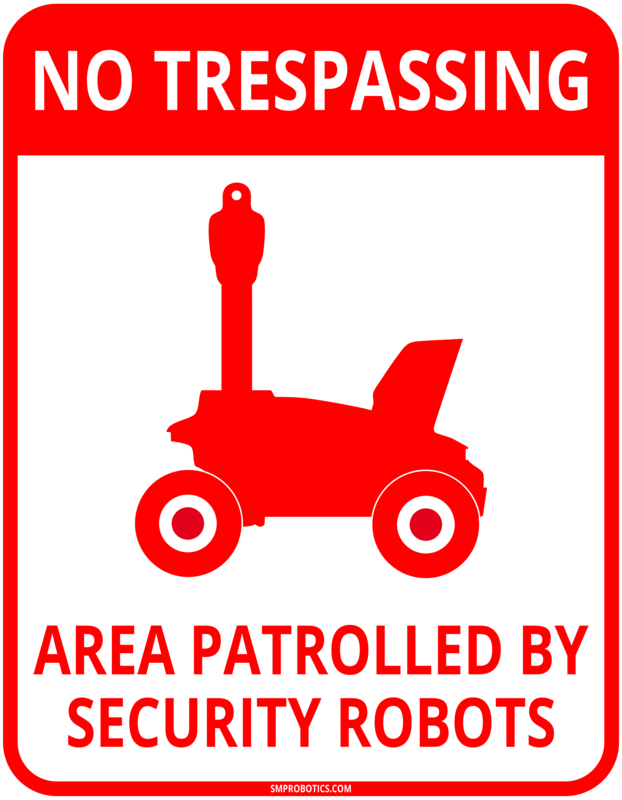 Robots are capable of continuously patrolling the premises of a facility. Unlike people, they do not become tired, nor do they require time to rest. The scorching sun or nighttime cold does not cause them any discomfort. The most effective way to cut costs encountered from providing security services is by taking advantage of uninterrupted, round-the-clock, robotic security duty operation, which is substantially lower than the hourly wages of human personnel. Joint cooperation between mobile security guard robots and security officers allows for efficiently allocating human resources only in critical situations, rather than incurring the expense and burden of managing security officers to conduct routine patrols. The robotization of patrol forces is especially effective at large facilities, where traditionally, a considerable number of human guard personnel is required to be on duty. 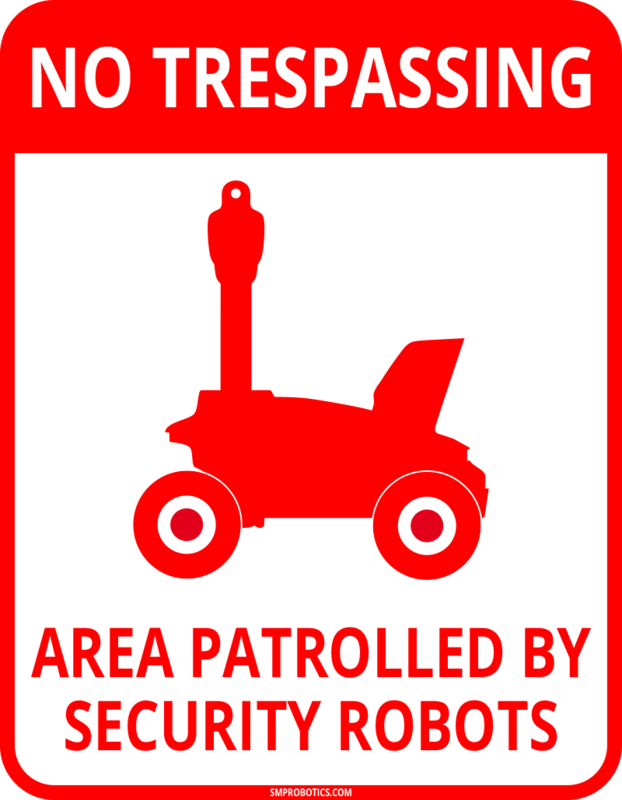 Using different types of robots to guard facilities allows for the creation of uniquely customized unmanned security systems. A system based on security robots can work independently throughout the facility, capture video footage, detect danger in the most remote parts of the site, and transmit information about what is happening back to the remote central monitoring station. Given this setup, the presence of security officers is required only in case of a threat that the security guard robots equipped with non-lethal weapons are not able to neutralize. An unmanned security system does not require spreading limited human resources around multiple security posts or facilities. Security officers can be concentrated in mobile rapid response teams that will always have a numerical advantage in the event of a serious incident. Additionally, robotic security systems have obvious advantages when it comes to guarding areas in the desert or under other harsh climatic conditions, as well as patrolling dangerous, contaminated landfills. Increasing terrorist threats compel organizations to modernize existing security systems in order to increase their reliability. The best way to confront the challenges of the new reality is by retrofitting stationary security systems with mobile robots. Their use can improve facility safety without additional staff, and therefore, without increasing fixed expenses. Security robots give a new dimension of quality to traditional security systems and provide active resistance to intrusions. Robots equipped with non-lethal weapons are capable of physically countering threats to security without the presence of a security officer at the protected site. Security robots are easily integrated into any modern security system that requires video surveillance, while additional functions can also be performed, be it the detection of gas leaks or reading and documenting vehicle license plates. can physically impact trespassers by using a long-range acoustic device. Given the directional effect of the acoustic non-lethal weapons deployed on a security robot, it is able to prevent potential intrusion from distant approaches to the protected site. 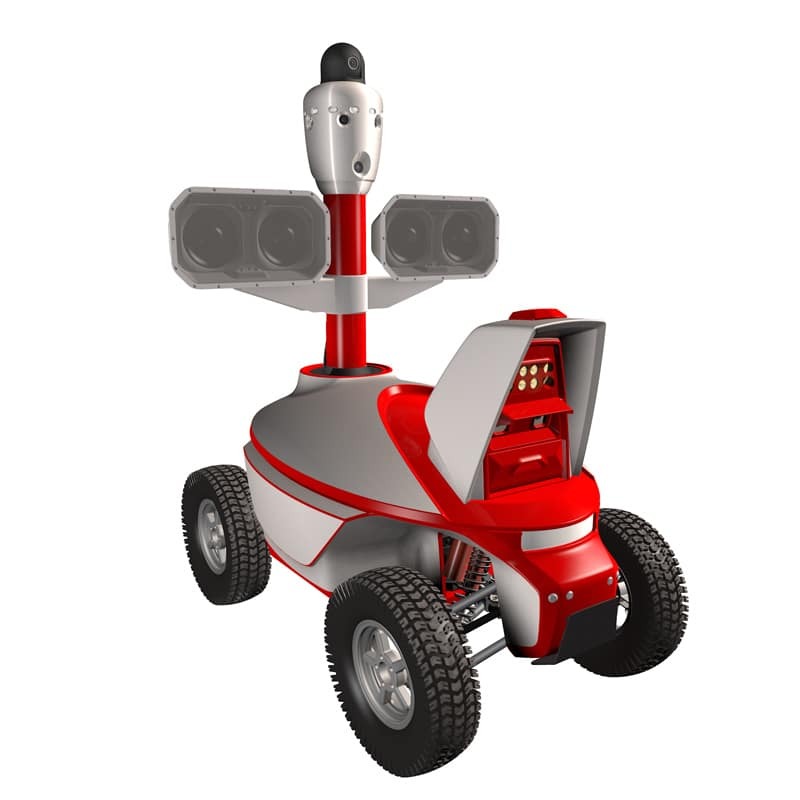 If the protected area is penetrated, the S5g security guard robot creates intolerable conditions for the intruder, thwarting any illegal activities. patrols routes used by security officers. Patrolling can be done along the perimeter fence or directly around the site area. 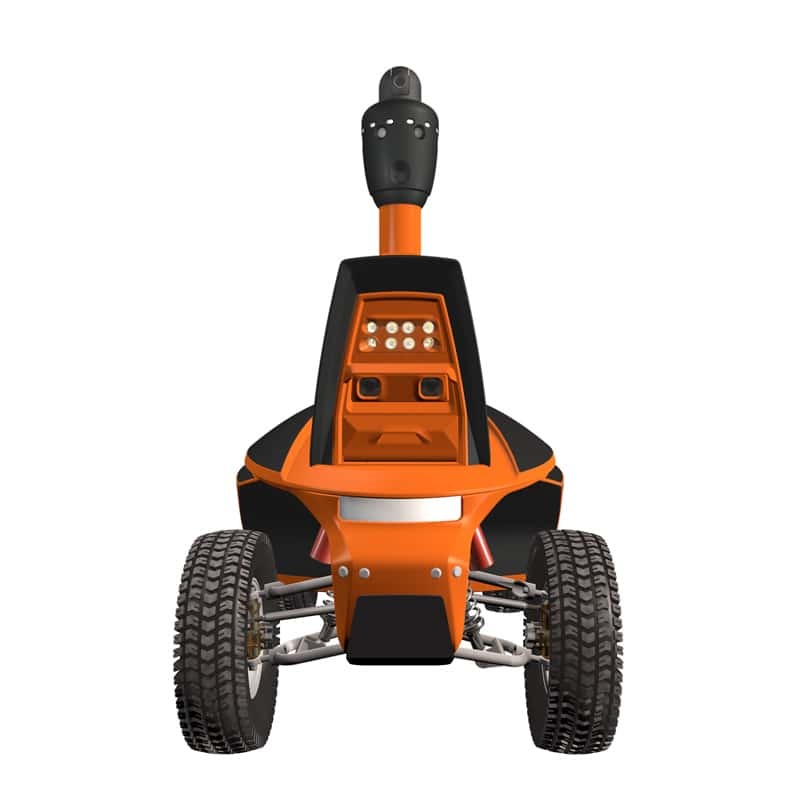 Thanks to an autonomos guidance system, the robot is capable of independently taking detours around obstacles and choosing optimal routes. When stationary alarm sensors are triggered, the security robot is able to automatically change its route and travel to the place where the alarm was raised. makes it possible to carry out video surveillance of the secured territory from various positions that periodically change. 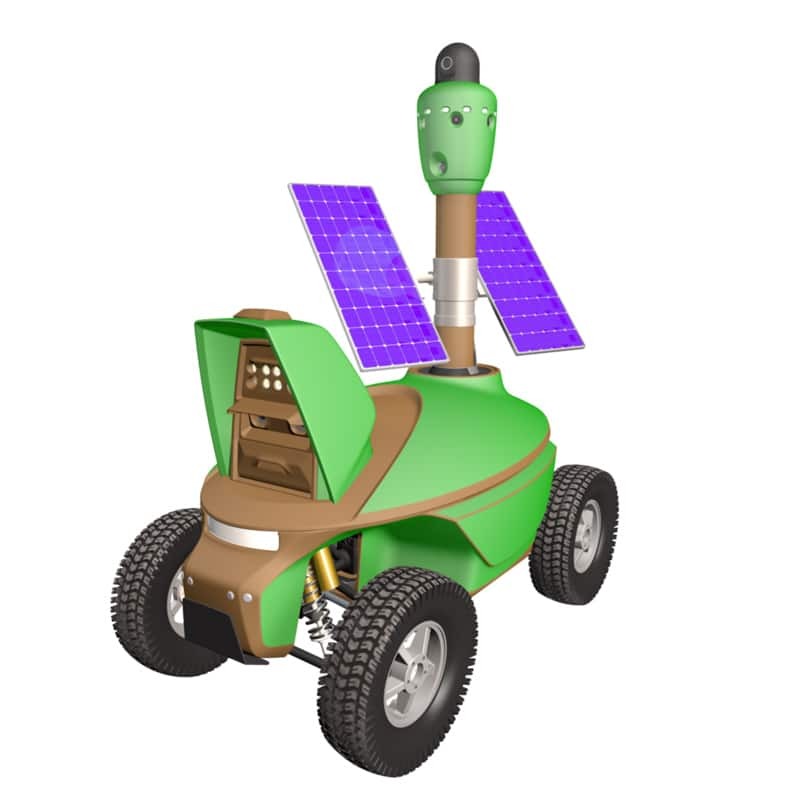 To charge the robot’s batteries and ensure the uninterrupted remote monitoring with video recording, this robot is equipped with solar panels. In areas with many sunny days, the electric energy from the panels sufficiently compensates for the energy expended by the mobile robot as it moves between surveillance positions. is equipped with a vehicle license plate recognition system. The robot is able to patrol parking lots and transmit license plate numbers of onsite vehicles while on the move. is able to detect smoke and flames by scanning the surrounding area. 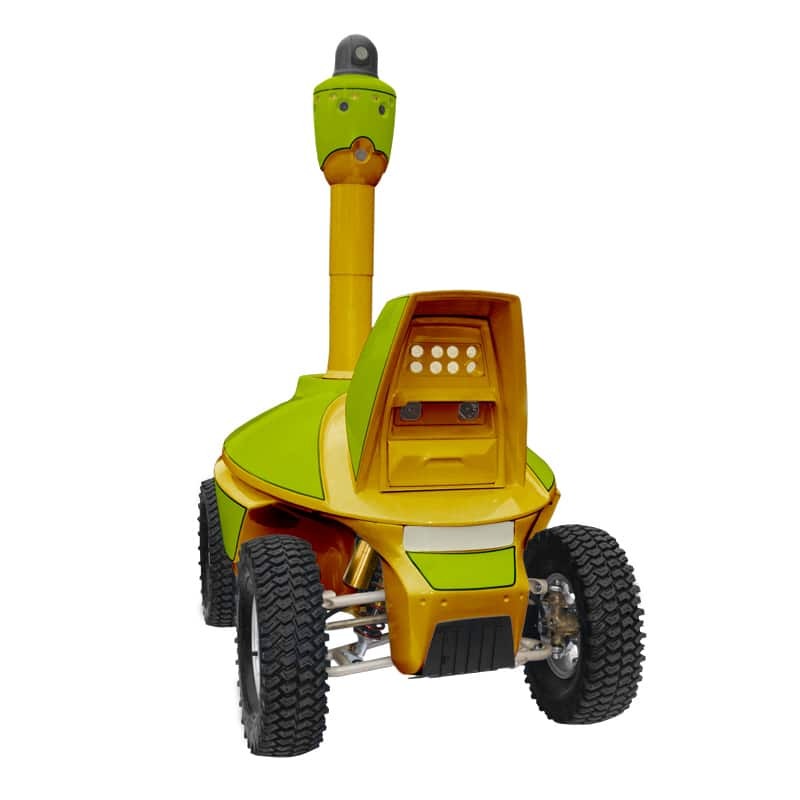 The robot is equipped with a multispectrum flame detector and a smoke detector. can analyze the concentration of substances in the atmosphere. This robot can compensate for the wind and also take measurements on the leeward side of an object. Trading companies specializing in the distribution of security systems can expand their product range and offer additional services that provide a steady income. In contrast to sales, leasing security robots is not seasonal, and there is no constant competition from cheaper products. The economic feasibility of using robots for security purposes ensures continuously growing demand for their lease or rental and continued maintenance. Expand your company’s presence in the security services market by offering robotic security systems. The cost of required services for end-line consumers will be significantly lower than any other proposals under their consideration, and the security company’s profit will be greater compared to using hired human personnel. 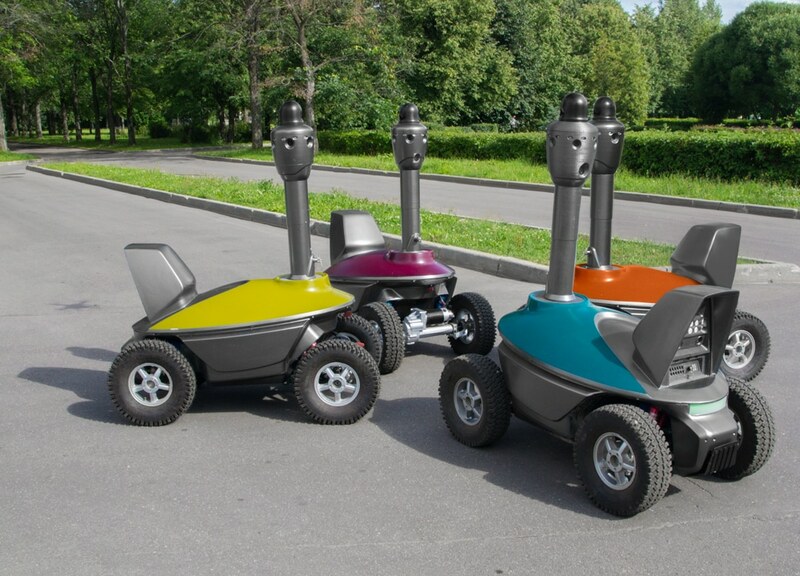 Leasing can help reduce the initial costs associated with security robots. Companies that are the first to offer robotic security services in their areas will have an undeniable advantage over their competitors. Companies that specialize in the installation and maintenance of security systems can create a center for the distribution and servicing of security robots while incurring minimal costs. Robot distribution implies a range of services focused on local customers that are located in the vicinity of the dealer. Promoting robots begins with training potential users and continues throughout the entire life cycle of the security robot. Are you ready to buy a home security robot, or are you looking for comprehensive advice on its use? Please get in touch with our distributor. 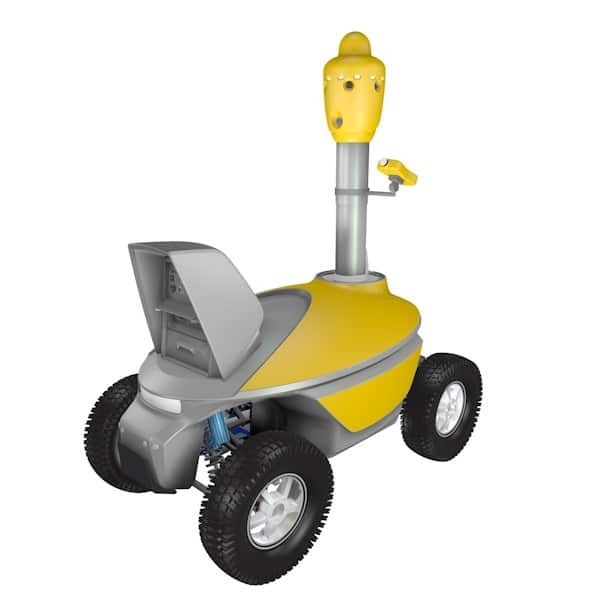 If the robot model you seek is not present on our site or your application requires it to have additional features, please contact our head office. 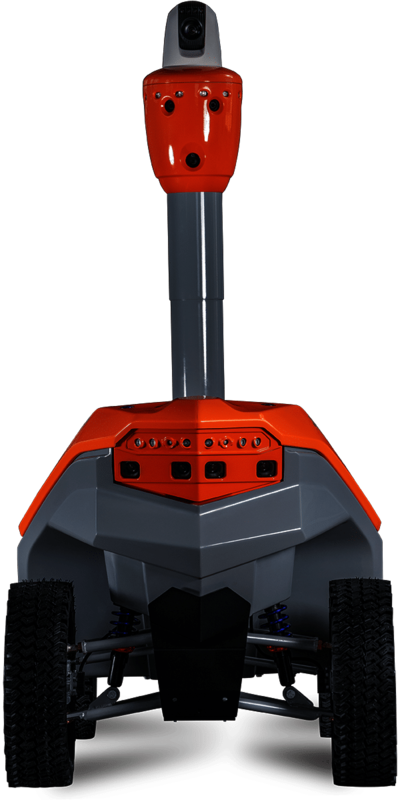 Are you aware of the prospects for the robotics and want to be the first company to offer autonomous mobile robots in your area? Please contact us and we will discuss a plan for collaboration, outline options for joint development, and sign a contract for the distribution of security robots to build a business together. Do you want to understand the technical aspects of using robots? We will teach you how to service robots, install them at the facility, and carry out maintenance work. You just need to select the program and training location, and our experts make sure that you comfortably understand every aspect of the sustainably successful business that you are investing in. If you have any questions or suggestions about how we can become partners in the field of security robots, please email us, as we welcome hearing from you!